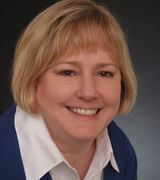 Find out what you need to know about Cindy Kidd and her Real Estate Practice. I am a real estate consultant with TurnKey Realty in Columbia. I have lived in Lexington all my life, so I am familiar with both the Columbia and Lexington markets. I came into real estate in 2007 with 13 years of management experience and 20 years of maintaining client satisfaction. These are necessary skills when handling any real estate transaction. Client satisfaction is my number 1 goal. I'm not satisfied until you're satisfied! I would love to help you find your dream home or sell the home you currently own. Give me a call and let me prove myself to you.